VISION : Lead Chloride Labs India would be a global leader, known for its superior quality products and customer oriented solutions. 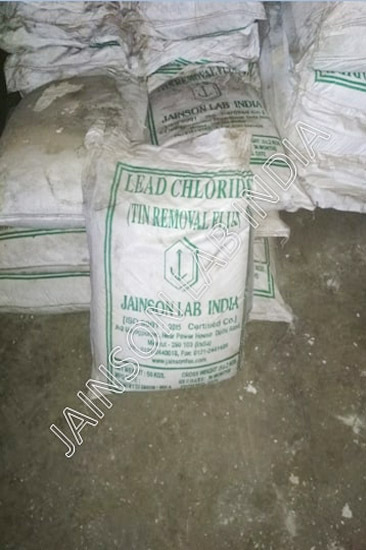 Sustain quality life at workplace and provide one stop shop for quality Lead chloride at competitive prices. Jainson Labs India is the leading global distributor of speciality chemicals. Our innovative expertise is personified by the Sales department which provides superior service. Our hallmark as a global distributor enables us to meet customers request accurately, on time and on budget. We take pride in not only having the most advanced technology to locate the most difficult to find raw materials but have a team on the front line to provide you with the most proactive customer centric approach to meet your business requests promptly. Owing to the above stated factors, we have garnered a huge customer base across the markets of UAE, USA, UK, Germany, Italy, Spain, Finland, Thailand, New Zealand, Australia, Korea, Japan, Tanzania, Nigeria, Ethiopia, Kenya and African nations.